UPDATE on Saturday morning, September 26: CPD says that Daniel "has been safely located and reunited with his family." Thanks to everyone who spread the word about him missing, and kept eyes and ears open for him. "community alert" to the news media, appealing for the public's help in locating Daniel Hernandez, 20, missing from the 4900 block of South Kilpatrick. He is Hispanic, 5-foot-10 and 180 pounds, brown eyes, black hair, light complexion. Last seen on September 24. He was last seen wearing a black shirt, grey shorts and black shoes. He was last seen driving a 1998 dark green Chevy Astro van with Illinois license plate number V829265. The vehicle has exterior damage and is missing the front passenger window. 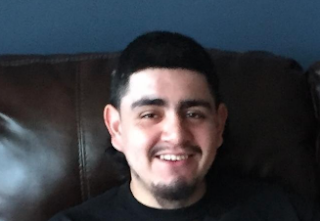 Hernandez is known to frequent the areas of 50th and Lawler in the Vittum Park area, as well as 59th and Pulaski in West Lawn. If you see him, call 911 immediately. If you have other useful information to share about this case, call Area Central Detectives at (312) 747-8380.